← Letters from Passengers: On the Great Big Teeny Tiny Knife Debacle. 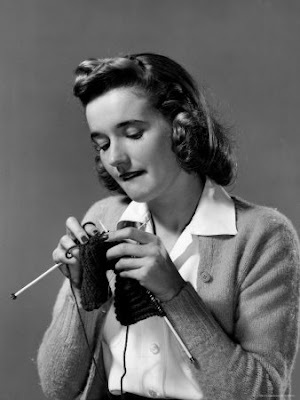 This Blog is About Knitting Needles Now. Sorry, guys, but it appears that’s just how it is. I guess it was almost inevitable that a blog about the TSA would careen out of control into pedantic fussing at one point or another. I have become all that I loathe in the world and the TSA. In the latest, you had a reader call you out about knitting needles and you admitted a lack of direct experience with them. I’m going to assure you that your assessment of their dangers is well founded. My personal experience with how dangerous a needle can be stems from my own stupidity, but clearly illustrates their potential. I was knitting a pair of socks one afternoon and when called away, placed my work on the floor. After that, I had forgotten that I had left them sitting out and while walking past, managed to place my foot in line with one of them. The next step consisted of excruciating pain as the needle was driven a solid 3 inches between my toes. Aside from some creative cursing, there was little else to do but extract the aluminum shaft and assess the damage. I was fortunate in that I was only working with 2mm diameter needles so the hole and subsequent blood loss were relatively minor, but it was still a pointed lesson in not leaving them on the ground. I suspect that your reader had little exposure to the aluminum and steel needles used by many knitters and assumed them little more than sharpened dowels. Honestly, I would be quite concerned if I were facing an attacker who brandished some of the more expensive needles. The points can be sharp enough that it wouldn’t require much effort to pierce the skin. Thanks for the letter, Bert. If you don’t hear from me by this time next week, know that it’s not your fault.